"[Hamas'] launching missiles in order to calm the uprising of the starving [Gazans] is an unacceptable act, and is overt and obvious to all." "Hamas is like all of these groups that use religion, frighten the people with religion, and frighten the people with violence." "The face of [Hamas'] treason has been exposed, the shame of the supporters of Satan... [Gaza] rise up and punish the traitors. Have no mercy on them... Tighten the noose around them. Hang them with the ropes of their treason... and this is the end of the traitorous heretics..."
This morning Hamas launched a missile into Israel at a town north of Tel Aviv. Seven Israelis were injured, two of them seriously. What is Hamas hoping to gain by firing into Israel's population centers? "Launching missiles in order to put down the uprising of the starving is an unacceptable act, and is overt and obvious to all." Visual: The screenshot shows a Palestinian child with a bloody nose who was beaten by Hamas members as they repressed a protest against Hamas corruption amid the severe financial situation in Gaza. Posted text: "A short time ago. Look what the Hamas Movement's security [forces] did when they invaded the home of the Barbakh family. During the invasion they opened fire and broke glass on the children. What did the children do to them! 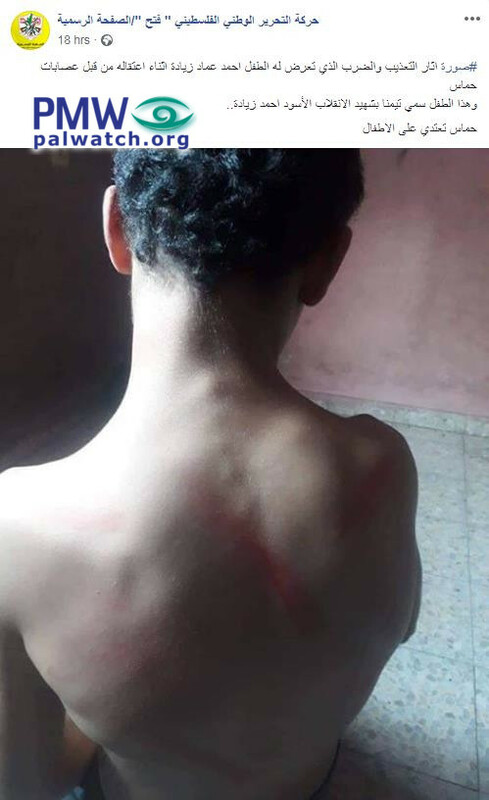 Posted text: "#Pictures of the marks of torture and blows that the child Ahmed Imad Ziyada received when he was arrested by Hamas gangs. This child is named after the Martyr (Shahid) of the dark revolution (refers to 2007 Hamas takeover of the Gaza Strip; see note below -Ed.) Ahmed Ziyada (Fatah security member in the Gaza Strip who was killed by Hamas members in December 2006, shortly before the Hamas takeover -Ed.). Hamas is attacking children." 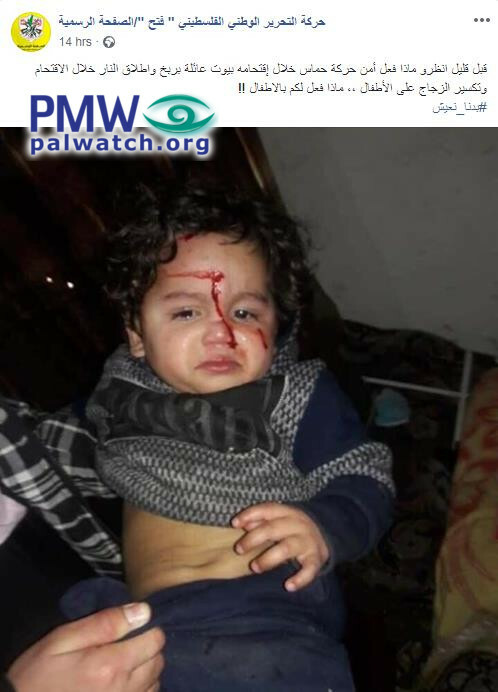 The image shows the back of the child Ahmed Imad Ziyada; long red bruises are visible on his back. O Gaza, the time has come. Tighten the noose around them. Hang them with the ropes of their treason, for the shame and disgrace is theirs, and this is the end of the traitorous heretics..."
Fatah Revolutionary Council member and regular columnist for the official PA daily Muwaffaq Matar added that while Mahmoud Abbas thwarted an attempt to condemn Hamas in the UN as terrorists, Hamas' behavior is showing that they are answering: "No, we are terrorists." "Naturally, this is not new in everything relating to the methods of the Muslim Brotherhood's Palestinian branch, which is called Hamas. I think that to this moment, and also according to my personal experience, they have not yet reached the end in everything relating to blood-... Hamas is like all of these groups that use religion, frighten the people with religion, and frighten the people with violence. It intends to exploit the physical and psychological terror against the people in order to scare and frighten them. It is causing them [the Palestinians in Gaza] frustration because they have no ability to rise up against Hamas or take an appropriate position." Hamas has been attacking Fatah as well. Last week, Hamas claimed the spokesman of the PA Security Forces Adnan Al-Damiri condemned the attack in which 2 Israelis were killed as "criminal". As PMW reported, Al-Damiri was quick to deny the accusation. "The occupation leaders are expressing their joy over having succeeded in assassinating Abu Laila (i.e. terrorist murderer of 2), and emphasizing that the operation would not have been possible without the close security cooperation with the PA Security Forces in the occupied West Bank. Occupied West Bank [PA] Police Commissioner Maj. Gen. Hazem Atallah said earlier: 'We are fearlessly and unashamedly making efforts to find the one who carried out the spiteful operation in Salfit, so that the police command will become available to continue recovering Gaza, which was stolen by the sons of darkness." 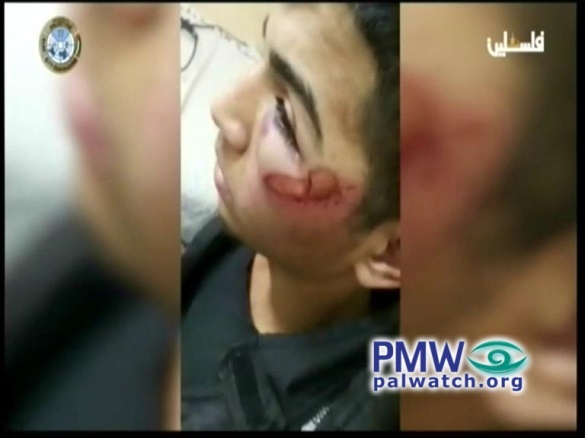 "[PA] Police Commissioner Maj. Gen. Hazem Atallah denied giving any sort of statement to any media outlet regarding the operation (i.e., terror attack) in Salfit or Martyr (Shahid) Omar Abu Laila. Atallah emphasized that false news items such as these are meant to harm the image of senior officials of the Palestinian [PA] Security [Forces], at a time when the members of our people are being subjected to persecution of the most despicable kind, violence, and murder everywhere. He added that this is an attempt to harm the determination of our political leadership, which is rejecting 'the deal of the century' (refers to US President Donald Trump's as yet unpublished Middle East peace plan -Ed.). He called on all media bodies and prominent figures on social media to pay heed to accuracy before publishing news items." It is on the backdrop of the demonstrations against Hamas by the Gaza population and the ongoing fighting between Fatah and Hamas, that Hamas launched the rocket attacks on Israel this morning and 10 days ago. The attack this morning indiscriminately targeted the heart of Israel’s civilian population. By attacking Israel, Hamas was hoping to distract its population’s attention from their dire financial situation and to gain favour in its internal conflict with Fatah and the PA.